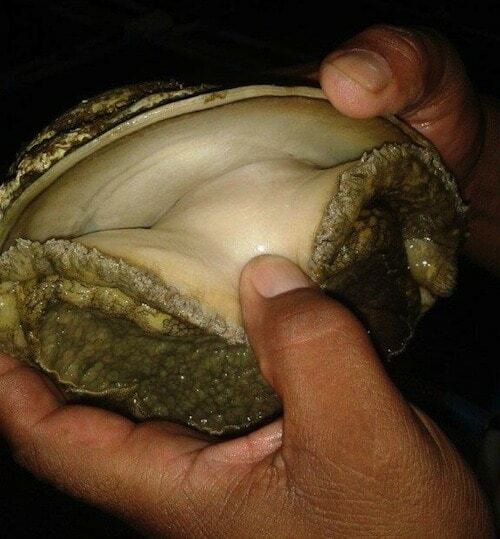 Doring Bay Abalone is an abalone farming project situated in Doring Bay in the West Coast region. It is an equity project that belongs to the emerging farmers/ beneficiaries who are the community representatives and own 60% shares. According to the commercial farm owner, Wayne Cooke, who has 40% shares in the project, he is happy to report that this project is maturing into a great abalone farm. He said “We have now been through one summer and one winter and have managed to get stats on the growth of our animals on the farm. We are happy with their performance and see the growth only improving once we start putting our own spat (spawn or larvae of shellfish, especially oysters) into the system. Hopefully this will be achieved by the end of April next year”. This farm was funded by the Western Cape Department of Agriculture through its Comprehensive Agricultural Support Programme funds and fully implemented by Casidra, an official implementing agency of the department. The farm has over 750 000 animals and continues to perform within industry expectations. The space and tanks are almost full of animals, as they continue to grade and split on a continual basis. The farm is in the process of installing the water system for the top section. This will enable the farm to have enough capacity to hold the rest of the animals. The water quality remains exceptional and most of the issues have been resolved and tested negative. The farm will now be able to apply for a health certificate in the coming months. Cooke said that many people have visited the farm, which includes the senior management of a Mining Group Company. 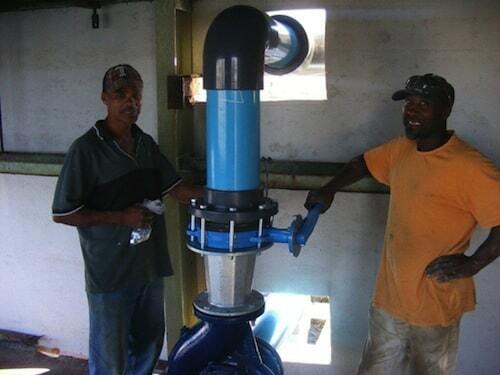 The visitors were impressed with the way in which the project is being operated. Engagement meetings were held with members of their company, as they play a key role in the progress and success of the farm. They tasted the first canned abalone during lunch with the guests. The Municipal Manager of the Matzikama Municipality, Mark Bolton, joined the group of visitors and shared his positivity towards aquaculture in the region. According to Cooke, the process for building the hatchery has started. The stripping, cleaning, building of gullies, renovating, sterilizing and putting 250m² cladding started two months ago. The new office for the lab was added and everything is progressing well. “This was very challenging, but we are very proud to see the commitment of our staff” said Cooke. All the hatchery infrastructure work between cleaning tanks, splitting animals, collecting kelp and feeding were completed. Casidra ensured that all the support needed, which includes procurement of all the equipment for the lab, brood stock room and larvae holding area as well as other necessary resources, were fully provided. This abalone farming project prides itself with their financials being up-to-date at all times. The system was put in place and the first year financials with facts and figures were finalised in May 2014. Cooke thanked all the role-players for their financial support in this project. “It must be made clear that we are attempting to build a R35 million abalone project with around R14 million worth of capital, and continue to hold costs low and show hard work and excellent management skills which this project has brought to production for around R25 million”, said Cooke. Cooke reported that all staff are employed on a permanent basis and registered for provident fund, UIF, PAYE, etc. The transfer of skills has been fantastic to see. There are some who want to develop and some who prefer to do the basic general work on the farm. The staff are encouraged to grow their knowledge and prove to themselves that they are capable of maintaining and growing in position within the farm. There are three new posts that are created and will be advertised. Cooke said that there is continuous engagement with staff and has an open door policy to discuss all matters relating to the farm. Furthermore, the farm employed casual staff to assist with the infrastructure construction as part of job creation. These casual staff provide assistance on a day-to-day basis on the farm as well as a small local building team from the local community. The farm continues to grow at a steady pace under the watchful eye of its management team. It is moving along extremely well and all stakeholders can be very proud of the way it has developed. “The support we have received from everyone involved has been very positive and encouraging”, Cooke ended.